So I haven't written in a while. Life got in the way, as it often does. For the update, I live in Naples now. Italy, not Florida. I'm here for a few months working on some things, but mostly I'm eating. Surprise! I arrived at my Airbnb a week ago, and I already feel the urge to go on a diet. But I will resist. Living in the historical center, I am around the corner from all of the pizza a guy could want, I need to explore, dutifully, and try them all. Fortunately, I live on the fourth floor of a building that charges 10 centimes for each elevator ride, so I have been taking the stairs most of the time. 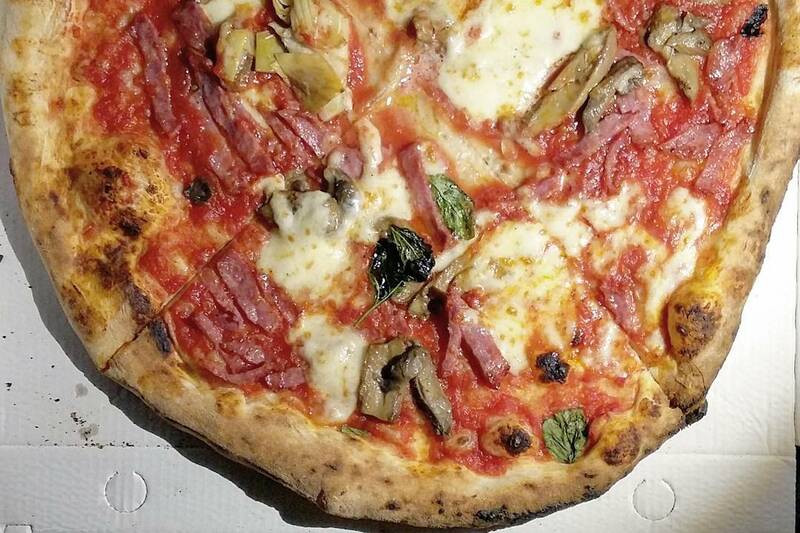 So when it comes to pizza in Naples, it needs no introduction. Unlike the supercharged pizzas of the US, the egg-topped pies of France, and the ultra-thin gourmet pizzas at my favorite London pizzeria Home Slice, Neapolitan pizza is deceptively simple. That said, there's more to experience than just a standard pie with its chewy and slightly charred crust topped with a smattering of cheeses or veggies. 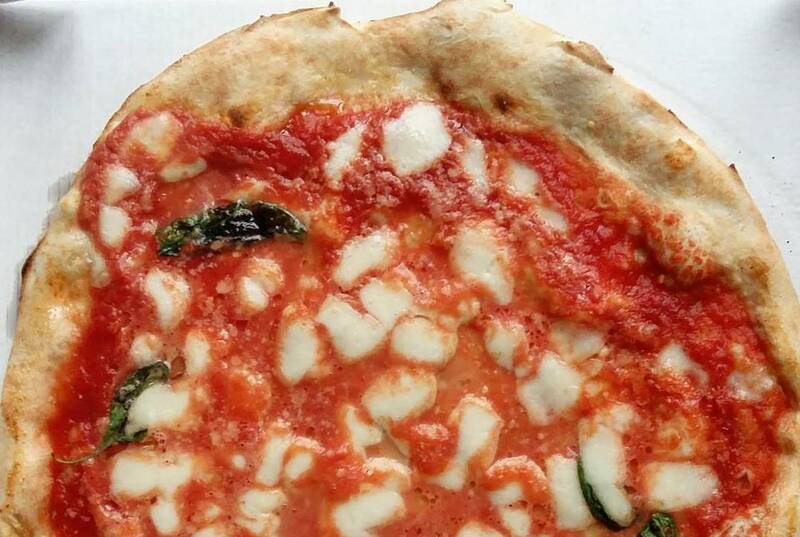 First, there was Pizza & Pummarol, where I had my first take-away margherita, to start simple. This place must be new because I can't find a website for it, but it's on via dei Tribunali under the arches. It's unassuming but the pie (pictured above) was perfect. A bit of cheese and basil on a light layer of red sauce is all you need sometimes. For €4.50 a pie, the addiction was settling in quickly. Later there was Friggitoria Verace at Via San Pietro Maiella 13 where I sampled some Parigina. It's not pizza. The Italians will let you know that. Instead, it's a sort of softer dough (not unlike some deep-dish American pizzas) with a layer of ham and cheese and red sauce, topped with another layer of dough. It's like a thick slice of pizza with a roof, but not, and named for Paris since it developed when the French were in control of Naples. A sizeable piece was just €1.50 and needs to be piping hot from the oven if possible. Finally, I got lazy and had some pizza a portafoglio, from Pizza & Pummarol again. I was hungry Sunday night, walking up and down via dei Tribunali when I saw the server come out with a fresh batch of mini pizzas. I forked over €2.50 and she folded up for me (hence the portafoglio). It's an easy way to eat pizza on the go, which is convenient when you're exploring Naples solo. Week 2 is underway, and I've started with some arancini, so we'll see if that becomes the theme of the week. Maybe I won't have any pizza at all for the next few days. I know, I laughed, too. Mmmm PIZZA! Living vicariously through you.